Calling all UNC student artists! 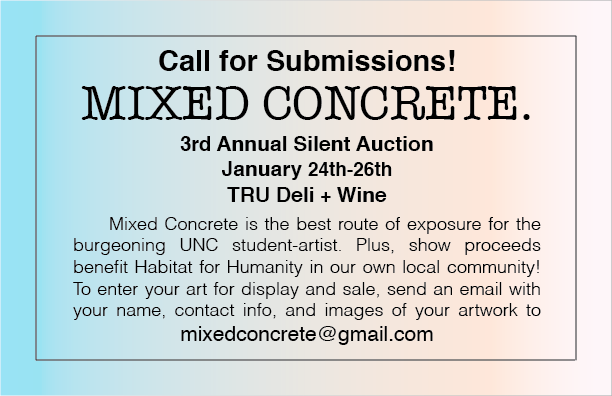 Mixed Concrete is currently accepting submissions for the 3rd Annual silent auction in January at TRU! Getting involved is easy! Just send an email with your name, contact info, and images of your work to mixedconcrete@gmail.com – feel free to get in touch with questions about the show too! SAVE THE DATE | Mixed Concrete is Back!